Ólafur Arnalds is a multi-instrumentalist, composer, and producer who has released several albums and EPs of neo-classical post-rock on the London-based Erased Tapes label, in addition to scoring several films and television programs. He started out as a drummer for a series of metal bands in his native Iceland. His entry into the neo-classical field was somewhat accidental. After the German band Heaven Shall Burn heard some solo demo material, they asked him to provide piano-and-string pieces for their 2004 album, Antigone. 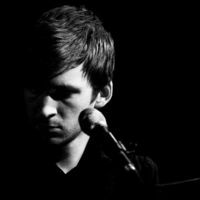 Robert Raths, founder of the newly formed Erased Tapes label, heard the album and was impressed with Arnalds' contributions, and the label contacted Arnalds about recording a full album of material in that vein. The life-cycle concept album Eulogy for Evolution, released in 2007, was the result, with Arnalds – primarily on piano – supported by a string quartet. A trio of EPs followed in 2008 and 2009. Also in 2009, Arnalds formed the experimental techno duo Kiasmos with Janus Rasmussen of Bloodgroup. Kiasmos' first release was a split EP with Erased Tapes labelmate Rival Consoles. ...And They Have Escaped the Weight of Darkness In 2010, Arnalds provided the scores for the 13-minute short Blinky TM and the feature-length Órói (Jitters), and he also released ...And They Have Escaped the Weight of Darkness, his second proper album. His score for Sam Levinson's Another Happy Day (2011) greatly increased his profile, as he continued to release works like Stare (2012) – a collaborative EP with Nils Frahm – and Kiasmos' Thrown EP. He then began a partnership with Mercury Classics, which issued For Now I Am Winter (2013), his first album to include vocals. Later that year, Arnalds scored the BBC television series Broadchurch, which produced its own soundtrack. A digital download of the composer's score for Ronald Krauss' film Gimme Shelter was released in February of 2014, followed by a physical release in April. SweptKiasmos released their self-titled debut album in October of 2014. Two accompanying EPs, Swept and Looped, followed in 2015. Also that year, Arnalds collaborated with pianist Alice Sara Ott for The Chopin Project on Mercury Classics. He continued collaborating with Frahm on Erased Tapes, which issued the EPs Loon and Life Story/Love and Glory as well as the full-length Trance Frendz. All of these releases, as well as 2012 EP Stare, were compiled as the double CD Collaborative Works. In 2016, Arnalds compiled a volume of the LateNightTales mix series. The following year saw the release of the soundtrack album Broadchurch: The Final Chapter, which compiled his score for the BBC series' last season. What Did They Ask You?